TheSchell (1 year ago) Inappropriate? These are fabulous! Only problem I've found so far is with your Sherman. 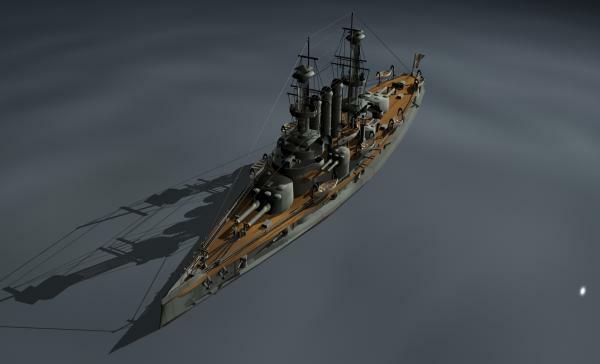 I'm having problems loading the texture with the big star on the turret, etc. I have only a gray plastic looking thing. Can you suggest any good Hexagon tutorials? I desperately need to create some World War One uniforms for V4 and M4..
niceguy691 (9 years ago) Inappropriate? the data is infected by a virus!!! Thankyou for your superb workmanship in these models and for allowing us to download for free. Thank you for a great collection of fantastic models. Your generosity is very much appreciated. Briney (10 years ago) Inappropriate? TheSchell (10 years ago) Inappropriate? Ty Bard... the models were done in Hexagon from Daz Studios and rigging,cr2's etc were done in Daz with Daz Studios excellent Figure Set-up Tools package... which allows for poser style model rigging and skeleton set-up... as well as joint editing and cr2 exports all for poser format files export! Like it wasn't already magnificent...okay, then. I notice this model seems to work better in DAZ Studio than Poser, at least on my machine. Probably has to do with the way DAZ handles extremely high-poly models like this. Out of curiousity, which modelling app did you use to create this masterpiece? This is a f**cking EXCELLENT model. Awesome detail and I LOVE the naval ships of this era - definietly looking forward to seeing more from this user. Be warned, however - such detail and quality comes at a price. The .obj file is HUGE (96 MB). It took quite awhile to load into DS and Poser 6, even on my high-end machine. Awsome pic Goldenthrush! I love it! current002000 (10 years ago) Inappropriate? Alas, zipx is not Winzip. It is another product (12)requiring payment for registration. Downloading the "trial version" overwrites the Winzip you now use, forcing payment to the company within a given time period and asoften as they specify later to continue to open Winzip-type files. Zipx may not be very popular. I won't be zipping anything with it. Oh she's beautiful!! Thank you! atoxic (10 years ago) Inappropriate? I admire your excellent and painstaking work for this fine crafted models.